Silversands casino is a simple and basic online casino aimed at providing a smooth and hassle-free gambling experience to users all over the world. Silversands casino has stood the test of time with over 19 years' experience in the gambling industry. All the games on Silversands casino are powered by Real Time Gaming software. In term of licenses, the casino operates under the jurisdiction of Kahnawake Gaming Commision. With the advancement of technology, players around the world prefer to play all their favorite games on their smartphone because it is way more convenient, and allows gaming on the move. Well, thanks to HTML5, Silversands casino provide players with a mobile-friendly platform which is supported on popular smartphones like Samsung, iPhone, Nokia or Windows Phone. It is also interesting to note that not a single .apk or .iOS app is required. With the use of Google Chrome, Safari, or Firefox, you can visit the website and start gambling. Silversands casino mobile app loads automatically on your tablet without needing to download or install an app from the app store. To learn more about payment methods, customer service and others, read the Silversands casino review written below. 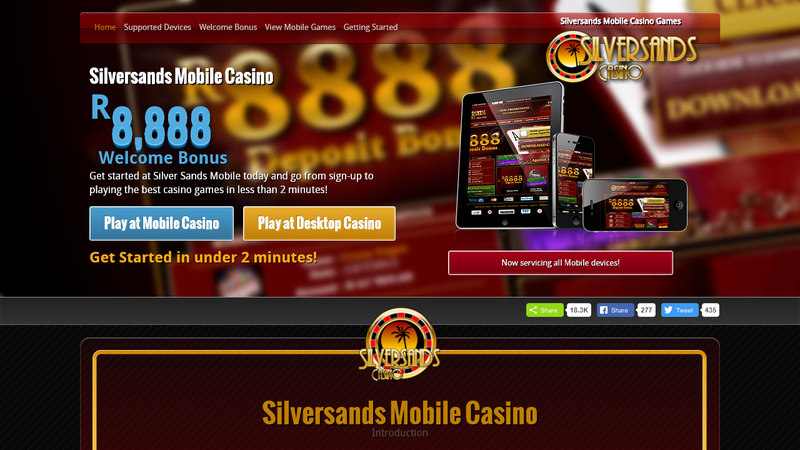 With over 19 years in the gambling industry, Silversands casino is certainly no newbie to the gambling industry. 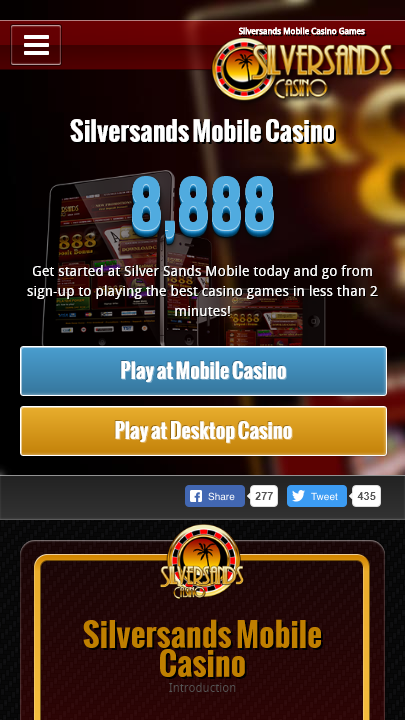 Silversands casino mobile app is easy to understand, and playable on all smartphones. Unlike other casinos who try too hard in terms of design and functionality, Silversands casino has a simple and unique design which makes it stand out. Some of the most popular games that can be found on this casino are Happy Golden Ox of Happiness Slot, Aztec’s Millions Slot, Year of Fortune Slot and others. If you love video poker games, you will find games like Jacks or Better, Deuces Wild, and Mystery Bonus to be most satisfying. This casino is available in English, German, Spanish, and French. To enjoy all the slot games, and a stunning no deposit bonus, players must create an account. Once you register, you can then login to your account and start winning cash. Meanwhile, make sure you read the terms and conditions of Silversands casino before playing. You can find their terms and conditions page on the website. To enable fluid communication between players and the support team, Silversands Casino provides a live chat feature and an email address on their web app. We recommend that you contact them via live chat for a quicker response. Generally, they will reply to all your queries within 24 hours. Regarding deposits, the casino uses MasterCard, Visa, Neteller, or Ecopayz. Sadly, Paysafecard and Paypal are not accepted at the moment. Withdrawals, on the other hand, takes between 3-7 days to be processed. Silversands casino has made a name for its self with numerous slot games, beautiful design, and responsive customer service. Generally, the casino is user-friendly and accommodating to all preference and bankrolls. Android, iPhone, and Windows Phone users can enjoy all the fun they desire with the click of a button.